By winning Festival da Canção, Conan Osíris will represent Portugal at Eurovision 2019 with the song Telemóveis. 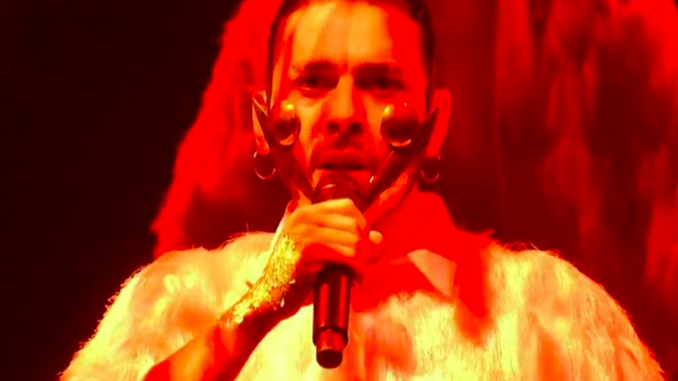 After receiving the most points from the jury, he also received douze points from the public televote, giving him a clear victory. You can read back on our liveblog of the show here. Undoubtedly unique, the song combines ethnic and modern instrumentation to create a captivating entry. The staging highlights Conan’s individuality and flair, adding to a bizarre yet fascinating stage show. says Joshua Mayne, who followed the Portuguese final for ESCDaily.